The British Rail Corporate Identity Manual was a labour of love for Wallace Henning, a young designer currently working at branding agency Koto in London. Henning tracked down a copy of every page of the original ring-bound manual, plus several additional pages published later – some of which he tracked down at the last minute via social media. All the pages were photographed at high resolution to make a same-size, casebound facsimile, printed by Cassochrome in Belgium. The young designer has been an enthusiast for this kind of Modernist identity design since he read Michael C. Place’s glowing recommendation in Spin’s Reading List 2 (see Eye 86). He bought a copy from designer Alan Cheung on eBay in 2011 and found other copies at the National Railway Museum in York. Henning worked for Tony Howard’s Transport Design Consultancy for six months in 2010, going on to do an MA in communication design at Ravensbourne, where his final major project was to create an identity for a re-nationalised transport network. Henning returned to Howard’s company for a year during 2011-12, and worked on the Olympics signs for Network Rail stations – ‘a huge task’. To raise money for his dream project, Henning enlisted the help of designer and crowdfunding expert Darren Wall, who was a consultant on some of the highest-funded UK Kickstarter campaigns to date, including Hate Mail, Mr Bingo’s phenomenally popular collection of abuse. For Henning, the British Rail identity represents ‘a social and political attitude … a time of optimism from when the nation was proud to provide a countrywide unified network that was accessible for everyone!’ – all underpinned by Gerry Barney’s iconic symbol. The corporate design identity manual has become a totem, an icon, a nostalgic flash point for utopian Modernism. 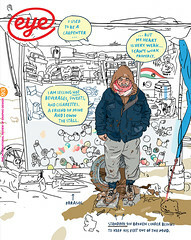 Unit Editions have published two huge, highly popular books (see Eye 90) showing examples made for IBM, Canadian National Railways and the Dutch Police. The original manuals, made in short print runs, fetch big sums online, prompting a new wave of desirable facsimile editions. Standards Manual (Pentagram designers Jesse Reed and Hamish Smyth), has now published three manuals – for the 1970 NYC Transit Authority, NASA and the official Bicentennial symbol. The original ring-bound manual made in 1965 by BR consultants DRU (Design Research Unit) was both a rule book and a toolkit, incorporating essential instructions about how to deploy Gerry Barney’s ‘double arrow’ symbol in a multitude of contexts. Later editions added guidelines for printed publicity, architecture, signs, rolling stock, vans, ships, uniforms, stationery and more. Henning’s project celebrates a lost age – that of large, nationalised industries (BR had more than 400,000 employees); of Modernist corporate identity; and of enthusiastic craft-based designers doing their best for the public realm. 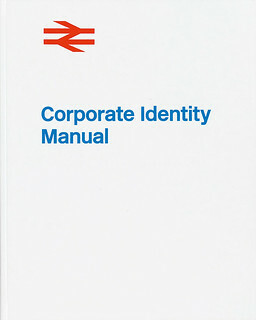 Cover of British Rail Corporate Identity Manual, 2016. 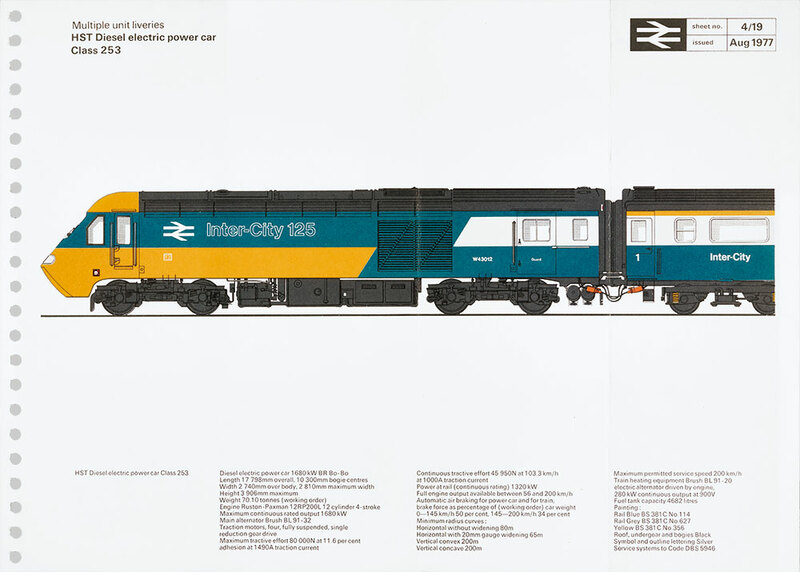 Top: One of five gatefold pages included in the re-published British Rail Corporate Identity Manual.